Almost everything from the EM (Electro-mechanical, basically the games that had scoring reels) era is pretty affordable, with most ranging from free to $500 (which a few outliers). Almost all of the ones you see on craigslist are in some state of not working, but luckily there are tons of guides out there on how to repair them. Are they fun? Absolutely. Some a lot more than others. They’re also very heavy, especially if you get the 4 player versions which can really give you a workout when moving them. Typical problems are the reels stick and don’t score right or the game won’t even start up at all. The best place to go to fix EM problems is Clay’s Repairing EM guide. Clay has wrote a bunch of guides over the years, a true asset to the community. I used to use his guides a bunch when I was first starting out. As the supply of project games has dried up though, I haven’t used them as much. If I was trying to find an affordable pinball machine, EM’s is where I’d start as there are tons of them around and can be had for almost nothing. What’s the second best bargain? Gottlieb solid state games from the 80’s. Gottlieb made a bunch of digital games in the 80’s but were always considered way back of Bally and Williams, hence there game prices are way lower. I’ve seen a lot of Gottlieb games of that era go for dirt cheap (under $500) which is lower than every other digital pinball machine available. Why do Gottlieb’s go for so cheap? I think the main reason is that their art and electronics were far behind Bally and Williams. They just didn’t make as good of games as those two and the prices reflect that. There are a lot of Gottlieb games that people aren’t even aware that they made. 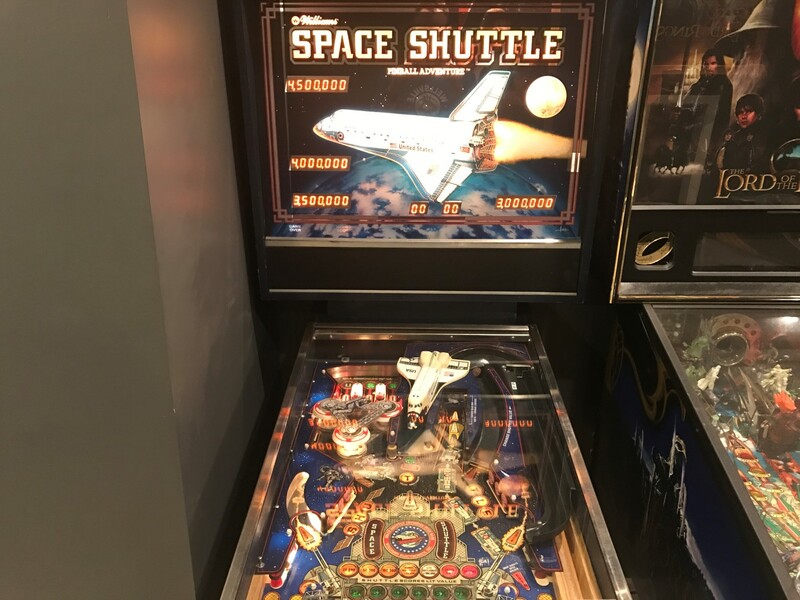 I know that even though I’ve been doing pinball for 13 years there are still some old games from them that pop up that I’ve never seen previously. I think it’s because collectors don’t usually have them. Hence, never get to see them unless someone is trying to sell one on craigslist. Some of them are definitely more fun than their given credit. Although not cheap, Joker Poker is one my favorites of that era. Genie though is affordable and a ton of fun, as is Pinball Pool. IPDB.org is a great resource for checking out these older games. They have reviews and pictures for every game ever produced, which makes it a lot easier to decide whether you want it or now. Although they’ve been trending upwards for a while, classic Stern titles from 1977 to 1984 are pretty affordable still. Some of the rarer ones like Stargazer are pushing $4k to $5k but others are still between $500 and $1k. You’ll see a lot of these available that need a little work, basically because the boards are a little hard to work with and are prone to acid damage and bad connections. Stars is one of the games that isn’t the best looking game but has developed a reputation as a great player. Meteor is one you can find a lot and it’s both affordable and a great game. Most of them were produced in smaller numbers so you don’t see them super often. Also, due to the fact that weren’t in arcades as much as Williams and Bally, their prices are lower as a result (no nostalgia). I’ve owned Flight 2000 from this group, it was a fun game but the multiball mech took up an obscene amount of playfield space, lol. The Stern’s I’ve played also had really good spinners, better than other games of the era in my opinion. Learn how to repair games. It’s the #1 way to save money in this hobby. Make friends with the local pinball scene. It will help you get an occasional deal. Watch Craiglist, Facebook, local newspaper, etc for games every day. Often you can get a good deal just by watching these closely. Not sure if it’s a super good use of your time if there’s lots of competition though. Estate sales. Lots of old games at these sales, often with owners and auction services that don’t know the values of the games. You can often get the games very cheap. I’ve gotten games from all four of those. I used to get most of my games from #3 but the competition is so high now that I haven’t bought a game that way for years. Depends on your area though. Hopefully this article was helpful you. If you have any questions, feel free to email me at gameroominfo@gmail.com. Games these days are rediculous. Back in the 90s I was buying them easy foe $100 to $400. People wonder why its a dieing hobby. Price is rulling out all but the rich. I just recently started to get interested in buying them again and about had a heart attack. One of my favorite Gottlibs Sinbad which I bought fully working for $150 now on ebay for $2500.00 has the pinball world gone mad?